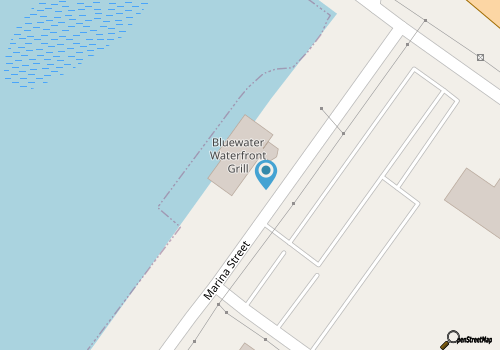 Enjoy a seafood meal with a prime view of the local marinas that border the Intracoastal Waterway with a visit to Bluewater Grill. Located on the edge of the Wrightsville Beach Causeway, this seafood restaurant is a popular lunch and dinner destination for vacationers who are hungry for a taste of the coast. Both the lunch and dinner menus are varied, but boast a heavy focus on both classic and more creative seafood dishes. Lunchtime guests can start with a fresh salad, or a cup of New England clam chowder or Manhattan Seafood Chowder, and then move on to one of the handheld selections, like the Asian Tuna Wrap or the French Dip, or the lunch-sized entrees, like a fried Calabash seafood platter. Evening visitors will find a similarly enticing selection, as well as a host of appetizers, “From the Land” entrees like Bistro Steak and baby back ribs, and “From the Sea” dishes, including southern fried flounder, Coconut Shrimp, Seafood Linguini, and Sesame Ginger Shrimp Skewers. Capped off with a glass of wine and a prime on-the-water view, Bluewater Grill presents a perfectly coastal dining experience for Wrightsville Beach vacationers, where the local seafood is the star of the scene. Call (910) 256-8500 for current hours.